Almost half of all U.S. Medal of Honor honorees served during the Civil War. It has been bestowed posthumously 621 times throughout history. Currently, only seventy-seven recipients are still living. In all ways they are the elite of the elite. 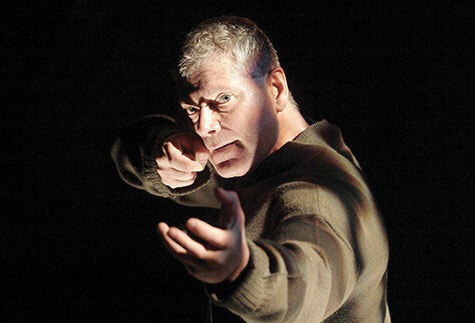 Adapting Larry Smith’s popular history of select recipients, Stephen Lang mounted a one-man tribute show that played Off-Broadway, throughout America, and on military bases all over the world. 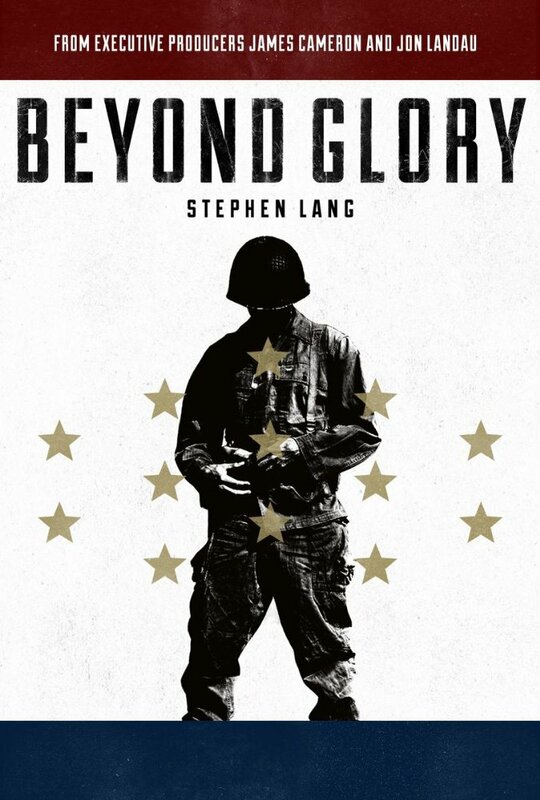 Cross-cutting between several of Lang’s more notable “command performance,” director-editor Larry Brand shows the theater piece in its entirety while conveying its wider significance during a time of war and armed hostility in Beyond Glory (trailer here), which releases today on VOD. Strictly speaking, Lang is kind of white-ish, but he plays two African Americans, one Asian American, and several working class white ethnic Americans, without any stilted awkwardness. After all, it would be un-American to exclude anyone on the basis of race. There is no question each recipient’s story merits inclusion. Of course, they all have the Medal of Honor to prove it. John William Finn’s real life heroics on December 7th put the Pearl Harbor movie to shame, as Michael Bay would probably be the first to admit. Clarence Eugene Sasser’s Vietnam era Medal was awarded for his efforts saving lives under enemy fire, despite the shrapnel in his back—a distinction that means quite a bit to him. Perhaps the most colorful character would be Lewis Millett Sr., who led the last recorded American battlefield bayonet in Korea. James Bond Stockdale is indeed the Stockdale Ross Perot chose as his running mate in 1992, but he should really be remembered for the harrowing seven and a half years he spent in the Hanoi Hilton as the highest ranking Navy POW. Given his profoundly humble origins, Vietnam was almost an empowering experience for Nicky Daniel Bacon, but that does not diminish from his battlefield heroics. Lang seems to have the most fun playing tough talking New Yorker Hector Albert Cafferata, Jr., who easily gets the show’s funniest lines. However, he is still humble to a fault chronicling his actions at what would come to be known as “Fox Hill” near Chosin Reservoir. Lang and Brand close with Vernon Joseph Baker and Daniel Inouye, staging limited interaction (through the magic of editing) between the two men, both of whom had lesser but meaningful awards upgraded to Medals of Honor in 1998 and 2000. Their experiences also mirror each other, having served with distinction in the Italian theater while facing racism at home and within the service. There is no shortage of moments in Beyond Glory to choke you up and make you misty eyed. Brand’s mastercut approach is actually quite effective at relieving the inherent staginess of Lang’s one-man show. No matter who the actor is playing, he is always locked-in, but the changing sets and backdrops breaks up the otherwise static visuals. You can be confident it treats its subjects with respect, because veteran’s advocate Gary Sinise supplied the voice of the military announcer. Frankly, it is rather baffling that the film version of Beyond Glory has not had a more traditional theatrical release, at least in Red State military communities (especially with James Cameron on board as an executive producer), but it should find a large and appreciative audience on VOD. Recommended for general audiences, Beyond Glory is now available on iTunes and other platforms.